Nonprofit are by default organizations that try to create positive change in the world and are continuously engaged in the act of design. They try to redesign the world in a positive way from a humane perspective inspired by the mantra be good, do good and make good. Nonprofits are sustained by a strong, intrinsic desire. Through their work, they help shape a better and more just society. Design also shapes our world. Today, more than ever, what we see, what draws and holds our attention, the things we keep around us, phones, pictures, posters, the clothes we wear, are designed. The product of the ‘design work’ forms the basis for the decisions that follow; whether to buy, engage, or invest our time. Designers, therefore, have the ability to greatly influence their surroundings. The designers make us confront problems we’d rather not think about, they turn complex issues into clear and limpid visual communication, and some of them even craft tools that can be used for. 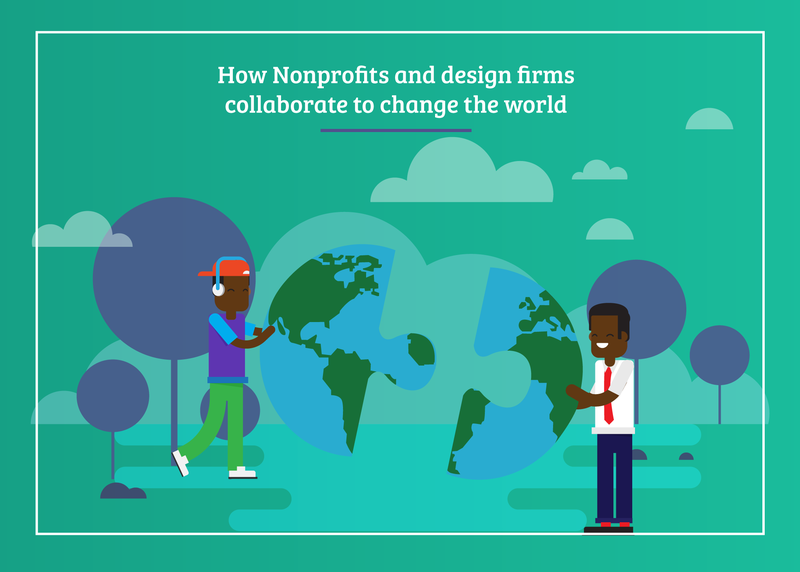 Nonprofits and design firms are therefore connected by this common bond: to understand the world around us and to create new ways to make it better, more rewarding, and more meaningful. We do this, usually, not for ourselves, but for the satisfaction, we get from helping others. As a nonprofit, any other company you choose to work with should understand this, and the social responsibility it bears. Design has the power to quickly change behavior, and if abused, can instigate long term negativity that can be difficult to later reverse. Good designers know that a lot of thought go into making outstanding work. They also know that design codifies an organization, its work, the environments in which the work appears and how. Design today is used to simplify or break down difficult subject matter for a more fluid understanding, which greatly increases the chance that audiences will engage. This is a big part of what nonprofits seek to do with their work. So, when we think of design, we must first recognize that pretty much everyone – and not just “creative people”— designs in one way or another. 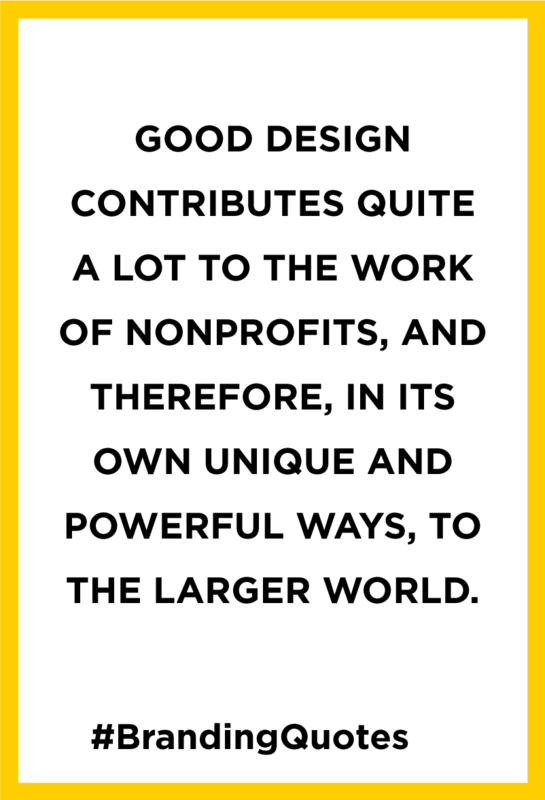 Nonprofit organizations, committed to creating positive change in the world, are continuously engaged in the act of design. Second, when we “design,” we’re not necessarily creating actual things (like websites or annual reports). Moreover, whatever it is we are creating, it almost always involves a complex, interdisciplinary system of ideas, actions, and messaging that, with a lot of hard work and a little luck, will alter a situation from what it is to what we’d like it to be. Organizational planning? Design. Copywriting? Design. Software development? Design. That workaround you used to fix your leaky faucet until the plumber showed up? You get the point. Design, as every good designer knows, is nothing without context. And context, to be meaningful, requires us to look at things from a whole bunch of perspectives, then thinking them through before we sit down to “design” that report cover, tagline, data visualization, or website. To borrow an analogy from the medical field, we’ve got to diagnose the situation before we can prescribe a course of treatment. Maison Interactive works with the knowledge that the influence design has will continue to change and grow. We, therefore, factor in much more than our client’s immediate needs as we work. We consider the impact your brand has in all environments in which you appear, and apply the triple bottom line approach to our work. There is a similarity to what nonprofits and designers do. As described above, designers apply thought, creativity and different tools to develop concepts, narratives or ideas that influence thoughts and behavior. Though the work of nonprofits may not be visible, or its effect not immediate, the concept is the same. They come up with initiatives, strategies and/ or tools that influence or change society’s perceptions or a problem. What values do you share with your design team? Are they passionate about using their work to make yours better? You want to work with a team that is aware of their role in the wider society and always works to develop content that is resonant, relevant, and lasting. For a nonprofit, engaging your audience is a core part of your work. You should look for firms that do cause-driven design, which always works with the premise of shaping a better world for all, and in all environments. It is designed with attention paid to environmental impact, labor practices, and the common good. Social design isn’t extravagant, it is just enough, it is witty, fun, and practical. It encourages a response through how it looks or how it is used. It promotes community rather than further detachment from the world around us”. Cause-driven design retains at its core the constant question of how best to reach out to all possible targets influenced by a non-profit’s work. It does this through maintaining an approach that holds audiences in high regard and empowers them to partner with you on the realization that your work is important, and could be a key change agent if they and much more engage. 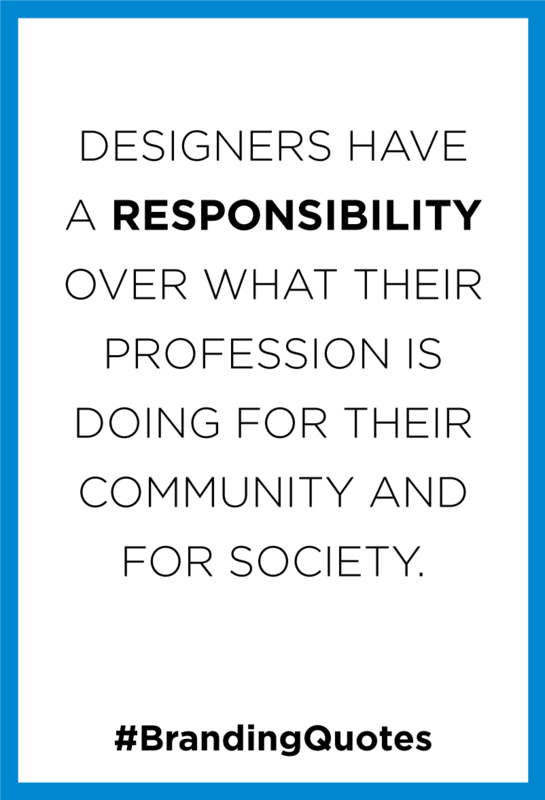 Designers have a responsibility for what their profession is doing for their community and for society. They have a responsibility for how they tell their audience to behave, what they should consume or what principles they should have. They have a responsibility towards how our culture is created. They have a responsibility towards graphic design in general and towards how the eld of design will develop and progress; how it will look in the future. Design firms like us spend a great deal of time and energy helping organizations create purpose and alignment across the things they want to say, how they present themselves, and the interactions that follow as a result. Our overarching goal is to deliver meaningful brand experiences that are rooted in deeply held values, aligned with organizational strategy, and that work to fulfill your mission. Our mission is to provide a new perspective on how better brand experiences can help your organization increase its impact while helping you become a more educated, engaged, and effective contributor to the process of creating them. Along the way, we’ll look to shine a light on the design process, demystify some of its more technical aspects, and make common sense connections between sound strategic thinking and creative execution.